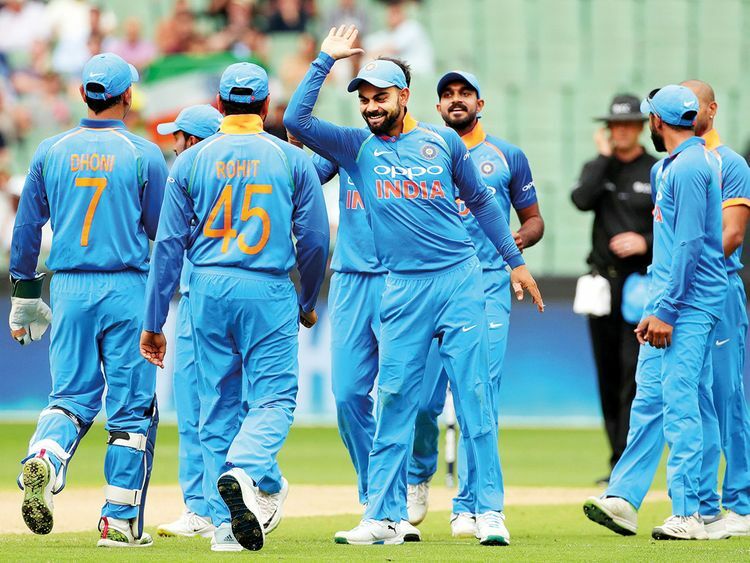 Dubai: A keen contest is on the cards between the two top ranked one-day teams as a buoyant India face New Zealand at their backyard for five One-day Internationals and three Twenty20 Internationals. The first of the ODIs will be held at Napier on Wednesday while Wellington will host the first T20I from February 6. There was excitement galore at the Auckland airport as Virat Kohli & Co touched down in New Zealand for their three-week-long tour, a first since 2014. The Black Caps, under the astute leadership of Kane Williamson, have become a formidable unit across all formats of the game. They recently whitewashed Sri Lanka in a three-match ODI series at home while also won the one-off T20I quite convincingly. Their ODI record in recent times has been as good as any. New Zealand have lost just five out of their last 20 ODIs with one getting abandoned and while their record in the 20-over format might not be as eye-catching, they can be handful on home soil. A maiden Test series triumph Down Under saw both Indian team and Kohli consolidate their respective pole positions in the latest ICC Test rankings released on Monday. India, with 116 points, stayed as the No 1 ranked Test team while skipper Kohli (922 points) was 25 points clear of second ranked New Zealand skipper Kane Williamson (897). Cheteshwar Pujara, after his dream series, is ranked third among the batsmen while Rishabh Pant has entered the top 20 with a career-best 17th rank. In the bowler’s list, Kagiso Rabada still topped the chart while Ravichandran Ashwin and Ravindra Jadeja are the best-ranked Indians at fifth and ninth place respectively. Fast bowler Jasprit Bumrah has climbed to 15th spot with 711 points.